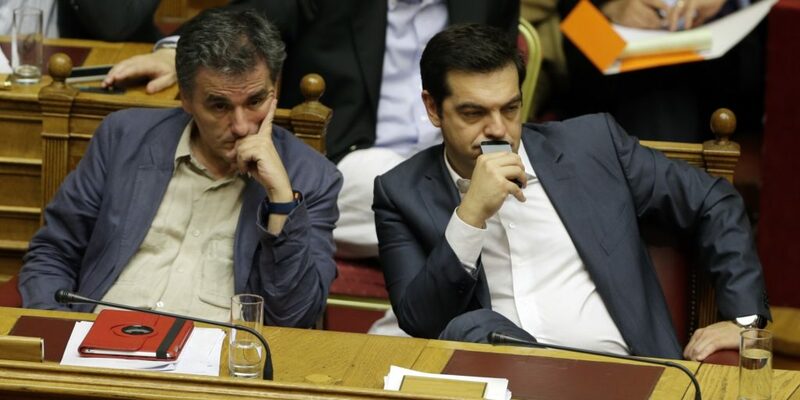 Greece has to legislate 77 measures and adjust 58 more in order to close the second bailout program review and receive the next loan tranche, according to a Kathimerini newspaper report. According to the report, there is a list of 140 prerequisites and Athens has completed five already. Now there is a rush to ratify the remaining 135 before the May 22 meeting of euro zone finance ministers, who in turn will give the green light for the reimbursement of the 7-billion-euro tranche if all prerequisites are met. House Speaker Nikos Voutsis on Monday announced that the measures will be tabled in parliament on May 18 for discussion and vote. The majority of the prerequisites will be included in an omnibus bill. The list of prerequisites Kathimerini has includes a variety of measures and acts such as fiscal measures (51), financial stability measures (12), acts to boost competitiveness and growth (65) and acts to improve public administration (12). According to the report, the list of prerequisites include fiscal measures worth 450 million euros to reach a 3.5% primary surplus, security contribution reforms worth 1% of GDP in 2019, lowering of the tax-free income threshold equal to 1% of GDP in 2020. Along with the measures, the parliament has to ratify a number of countermeasures approved by creditors, but implemented only if Athens has reached its fiscal targets of primary surpluses of 3.5% for the years after 2018. Regarding the countermeasures, tax increases and pension cuts will be offset by tax reductions. Also there will be a rationalization of health spending, in matters of excessive costs for diagnostic examinations, pharmaceuticals and stay in private clinics.